Start off your visit on the 30th (Fri): admire the masterpieces at Seattle Art Museum, then take a stroll through Pike Place Market, then admire the masterpieces at Chihuly Garden and Glass, and finally look for gifts at Elliott Bay Book Company. 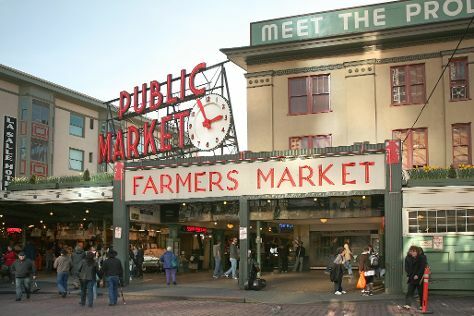 Plan my trip to Seattle with suggested itineraries provided by Inspirock. Bengaluru, India to Seattle is an approximately 25-hour flight. You can also do a combination of flight and shuttle. You'll gain 13 hours traveling from Bengaluru to Seattle due to the time zone difference. In November, Seattle is colder than Bengaluru - with highs of 13°C and lows of 6°C. Finish up your sightseeing early on the 30th (Fri) so you can travel to San Francisco. Get some cultural insight at Alcatraz Island and Fisherman's Wharf. Head to Union Square and City Lights Booksellersfor plenty of shopping. There's still lots to do: take a stroll through SoMa, take your sightseeing to a higher altitude at Twin Peaks, steep yourself in history at SS Jeremiah O'Brien, and take in the views from Golden Gate Bridge. For photos, traveler tips, other places to visit, and tourist information, read San Francisco online travel route planner . You can do a combination of flight and subway from Seattle to San Francisco in 4 hours. Other options are to fly; or drive. Prepare for somewhat warmer weather when traveling from Seattle in November: high temperatures in San Francisco hover around 20°C and lows are around 12°C. Wrap up your sightseeing on the 3rd (Mon) to allow time to drive to Yosemite National Park. Get in touch with nature at Cathedral Beach Picnic Area and North Dome. Spend the 5th (Wed) exploring nature at Elizabeth Lake, Yosemite National Park. 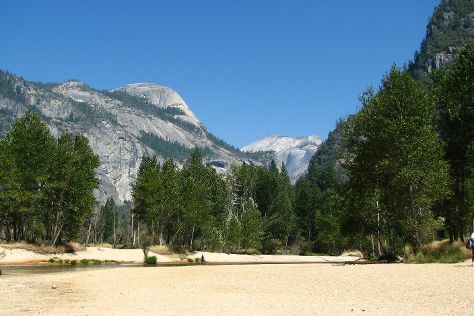 The adventure continues: take in the dramatic natural features at Glacier Point, hike along May Lake Trailhead, tour the pleasant surroundings at Tuolumne Meadows, and don't miss a visit to Olmsted Point. To find where to stay, maps, traveler tips, and more tourist information, read Yosemite National Park online trip planner . You can drive from San Francisco to Yosemite National Park in 4 hours. Other options are to take a bus; or do a combination of subway, flight, bus, and taxi. When traveling from San Francisco in December, plan for a bit cooler days and cooler nights in Yosemite National Park: temperatures range from 9°C by day to -11°C at night. Finish your sightseeing early on the 6th (Thu) to allow enough time to drive to Las Vegas. On the 7th (Fri), stop by Barneys New York, then buy something for everyone on your list at The Grand Canal Shoppes at The Venetian, then get a taste of the local shopping with The Strip, and finally add some entertainment to your itinerary with Bellagio Fountains. To see traveler tips, more things to do, ratings, and more tourist information, go to the Las Vegas trip maker website . Traveling by car from Yosemite National Park to Las Vegas takes 9 hours. While traveling from Yosemite National Park, expect somewhat warmer days and much warmer nights in Las Vegas, ranging from highs of 16°C to lows of 4°C. Finish your sightseeing early on the 7th (Fri) so you can travel to Grand Canyon National Park. Get in touch with nature at Canyon Village Marketplace and Grand Canyon South Rim. On the 9th (Sun), hike the day away at Bright Angel Trail. The adventure continues: stroll through Rim Trail, get great views at Powell Point, and hike along Tonto Trail. To see photos, ratings, and more tourist information, read our Grand Canyon National Park trip planner. You can do a combination of car and flight from Las Vegas to Grand Canyon National Park in 4.5 hours. Other options are to drive; or take a shuttle. The time zone difference when traveling from Las Vegas to Grand Canyon National Park is 1 hour. While traveling from Las Vegas, expect little chillier days and cooler nights in Grand Canyon National Park, ranging from highs of 8°C to lows of -11°C. Finish your sightseeing early on the 10th (Mon) so you can travel to New York City. Head to Fifth Avenue and SoHofor plenty of shopping. Appreciate the collections at The Metropolitan Museum of Art and 9/11 Memorial. Next up on the itinerary: make a trip to Times Square, get a new perspective on nature at American Museum of Natural History, admire the masterpieces at The Museum of Modern Art (MoMA), and steep yourself in history at Ellis Island. Planning New York City trip won't be overwheling when you use's Insprock itinerary maker. You can do a combination of bus and flight from Grand Canyon National Park to New York City in 13 hours. Other options are to do a combination of bus and flight; or drive. The time zone changes from Mountain Standard Time to Eastern Standard Time, which is usually a 2 hour difference. Expect warmer evenings in New York City when traveling from Grand Canyon National Park in December, with lows around 2°C. On the 14th (Fri), wrap the sightseeing up by early afternoon so you can travel back home.